Accessory vendor Logitech announced on Tuesday that the company is expanding its Harmony line of universal remote controls with a new flagship model, a new low-end model, and a multi-function hub that extends the capabilities of both. 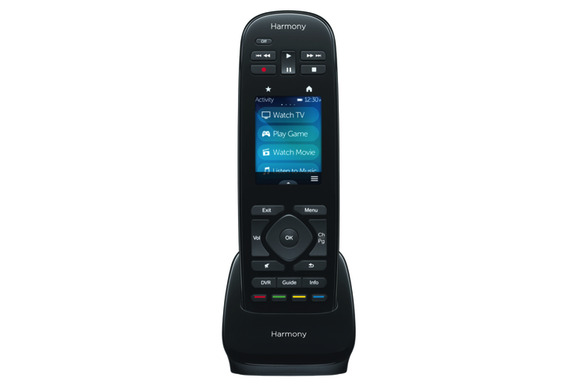 The $350 Logitech Harmony Ultimate is the company’s new top-of-the-line universal remote, capable of controlling up to 15 devices. The remote’s 2.4-inch color touchscreen offers programmable activity buttons like previous touchscreen Harmony remotes, but the Ultimate adds gesture control, letting you perform actions by, for example, swiping a finger across the screen—vibration feedback confirms your actions without you having to look at the screen. The Ultimate also includes tilt sensors for additional control options, as well as buttons that can be programmed for short- and long-press functions. The $130 Logitech Harmony Smart Control controls only eight devices and omits the touchscreen, gesture and motion control, and vibration feedback. Both products include Logitech’s new Harmony Hub, which is a combination of an infrared repeater (to let you control your AV components that are inside a cabinet or otherwise out of a direct line of sight with the remote’s infrared transmitter) and a Bluetooth hub that lets you turn on game consoles (including the Nintendo Wii and Wii U and the Sony PlayStation 3) using your Harmony controller. The Hub also allows you control your AV components using an iOS or Android device (via soon-to-be-released apps), and it offers the capability to set the brightness and color of Philips Hue lights using the Harmony Ultimate remote—letting you configure your entire movie-watching room with the touch of a programmable button. The Hub appears to be the replacement for Logitech’s older Harmony Link product, which we found to be capable but flawed in its execution. You may recall that Logitech announced earlier this year that it’s looking to sell off the Harmony division. However, a company representative told TechHive that Logitech will continue to operate the division normally—including, apparently, developing and releasing new products—until a buyer is found. Logitech says the Harmony Ultimate will be available later in April; the Harmony Smart Control should be available in May. The Harmony Hub, included with each, will be available separately in July for $100.